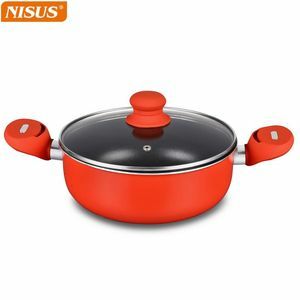 Zhejiang Naisi Kitchen Utensils Co., Ltd. In the future too, Krish will continue to build high-quality products for families and professionals all over the world. The timeless product, manufactured using the very best raw material, continues to gain value over the years. Even if you are not coming to Mumbai, to taste some of the specialties, you can still recreate some of the traditional dishes at your home. 3.Enamel coating requirs no additional seasoning like some cast-iron piece. , Ltd obtains years of production experience in porcelain glaze. Q3:What about the lead time for production9 A:Honestly,it depents on your order quantity. 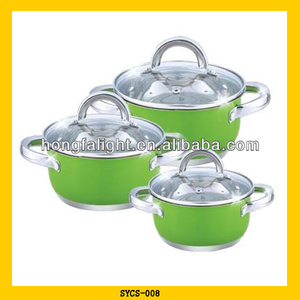 Yongkang Bright Master Kitchenware Co., Ltd. 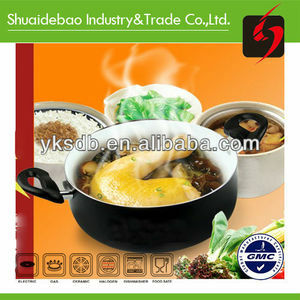 Product name Wholesale New Style Casserole With Lid Die Cast Aluminum Item No. 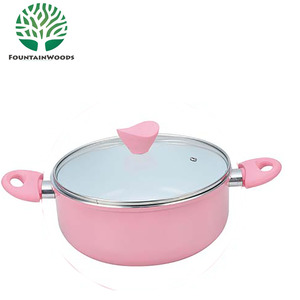 AL-205BM-0216/20/24 Material Die Casting Aluminum Color Pink /Dark Red Exterior Heat Resistant Lacquer Coating Interior Nonstick coatig,Ceramic coating(Optional ) Handle Silicone Usage Home use,Cookware in Kitchen Thickness 2.0/4.8MM Size Casserole :16/20/24/28/32CM Bottom Energy Saving Btoom ;Spiral;Induction Care & Maintenance Instructions: &bull; Wash the pan with warm soapy water and dry it completely with a soft cotton or linen towel before using for the first time &bull; In order to protect its non-stick coating, please use plastic or wooden utensils &bull; Always let the pan cool before washing it &bull; Unlike standard cookware, nonstick cookware performs better at slightly lower temperatures. Yongkang Devo Trading Co., Ltd.
Chaozhou Weida Ceramics Making Co., Ltd.
&bull; Innovative range of quality products. Also, there is stricy quality control system in place to ensure good quality to the client. Buyer can appoint any inspection agency to check our quality and factory. ceramic casserole dish with lid Model : S611 Item Name. 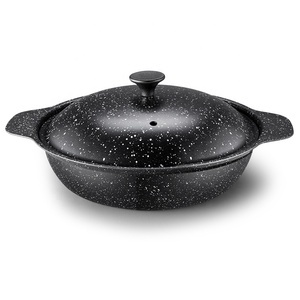 :8 inch round ceramic casserole dish with lid Desc. please discuss with our salesman for further information. 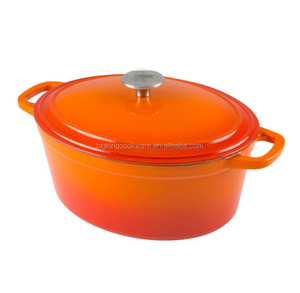 Alibaba.com offers 195 casserole dish with stand products. About 18% of these are casseroles, 14% are other dinnerware, and 4% are pans. 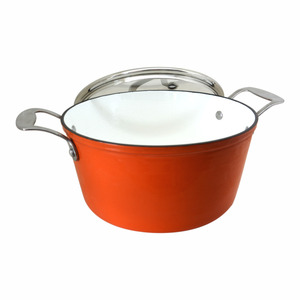 A wide variety of casserole dish with stand options are available to you, such as ce / eu, fda, and sgs. You can also choose from eco-friendly, stocked. As well as from cast iron, aluminum alloy, and carbon steel. And whether casserole dish with stand is free samples, or paid samples. 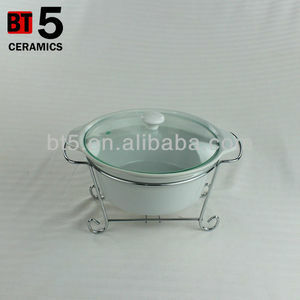 There are 116 casserole dish with stand suppliers, mainly located in Asia. 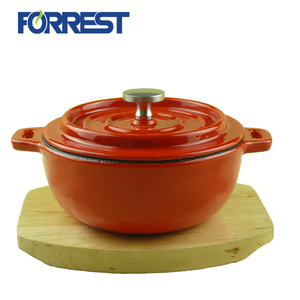 The top supplying countries are China (Mainland), India, and Vietnam, which supply 79%, 19%, and 1% of casserole dish with stand respectively. 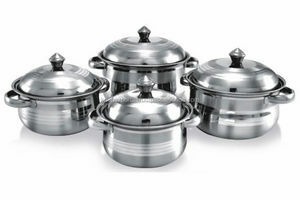 Casserole dish with stand products are most popular in North America, Western Europe, and Mid East. You can ensure product safety by selecting from certified suppliers, including 35 with ISO9001, 26 with Other, and 8 with BSCI certification.